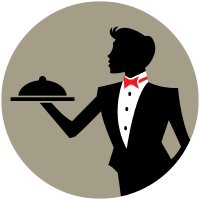 CVHospitality is a specialist division within the CVUK group, offering a quality bespoke service to the hospitality and catering industry. CVHospitality works with an outstanding array of clients, from luxury fine dining to commercial high street, as we strive to help our thoroughly considered shortlist of exceptional hospitality professionals find their perfect job. For more information on CVHospitality please contact hospitality@cvukgroup.com. Job search can be really frustrating. I dealt with few recruitment agencies and no one ever treated me and valued my experience and knowledge like the CVUK team. Throughout the whole process I was coached and prepared for the big day – my interview. Telephone and Skype calls, e-mails, constant follow up. I felt in the right hands, it boosted my confidence and got best out of me. I am currently working in the environment and at the position I always wanted. There are no words to describe my happiness!